If you’ve been following my blog since the beginning, you’ll remember that I started out on Blogger before picking up and moving to my new home on WordPress. Back in those days my blog was primarily focused on my writing experiences. I wrote about my struggles to find my place as an author, posted bits of flash fiction and created a change challenge called 22 Things. 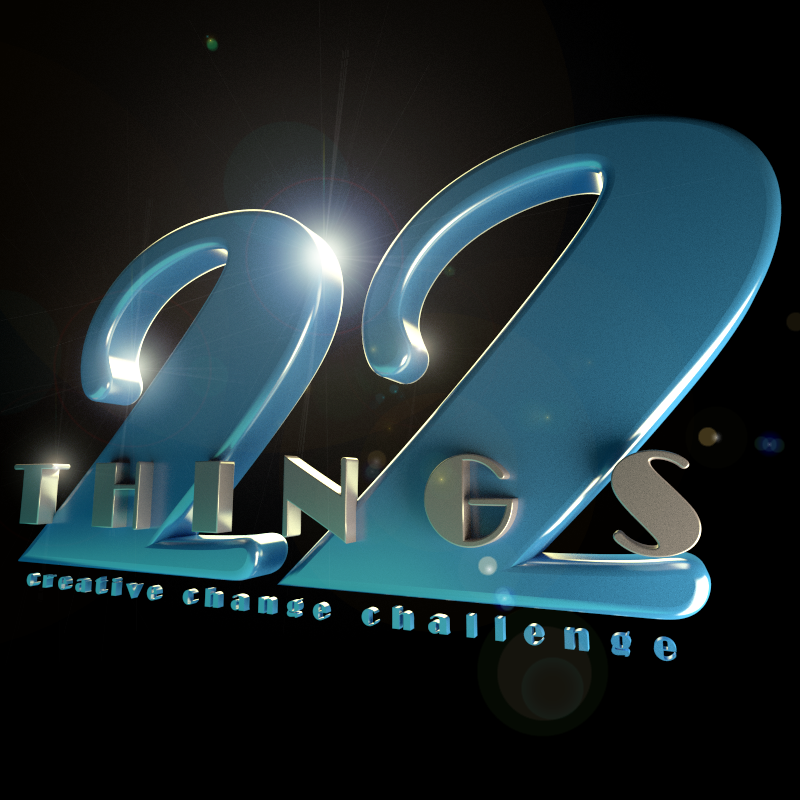 22 Things was created on a day when I was feeling particularly desperate. I was stuck in a fairly deep rut and making a move seemed utterly impossible. How? I kept asking myself. How do I start? Where do I start? When a runner decides to run a marathon, they don’t just get up one day and run 26 miles. Nope, they start by training and running smaller distances. They build up to 26 miles by breaking it down into smaller chunks. Same principles apply. Speaking from experience…I’m not what you’d call a details person. That’s not to say I can’t be detail-oriented, I can. It just takes a little more planning for me to make it work. I enjoy focusing on the big picture, I find comfort there. I’ve been know to say that’s just details! on more than one occasion. But when you’re trying to make a change, big picture thinking can lead to feeling overwhelmed. At least in my case it did. My list of 22 Things helped me realize that every step I took brought me closer to my goals. It also allowed me to manage my impatience, because sometimes I can be a little *cough* impatient *cough*. Here’s an example of a list you could make if you wanted to publish a novel. Keep in mind each person’s list is unique because we’re all unique! The list doesn’t have to flow in order, unless you’re more comfortable with that. It’s just about getting those ideas on a page/screen. Work with agent to get published. You can see this list includes items for both traditional and self-publishing. Your 22 Things list is like a living document. It shapes and changes based on what’s happening in your life. Kind of like a resume. You keep crossing items off and adding on new ones. I usually keep crossing off items until they are all (or mostly) completed before I start a new list. If you want to revise it at the beginning of every month, season, year – it’s up to you. The point is to break it down and watch how each completed task brings you closer to your goals. As I have 22 things to do today alone, I will try busting out a rhyme and hope they go faster. LOL!